Superdry men’s Track Squad crew jumper. The perfect jumper to wear on those unpredictable weather days. 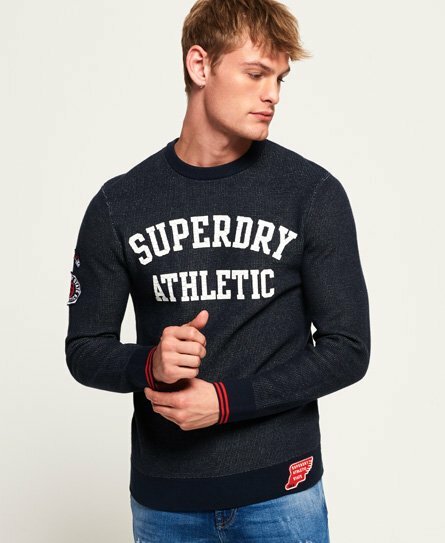 Featuring a crew neckline, a Superdry logo across the chest with a cracked effect and finished with a selection of Superdry logo badges on the sleeve and above the hem. Finish off the look with a pair of jeans and our low pro trainers.